As The Wall Street Journal reported this week, more than 11,000 condominiums and rental apartments have been built in the Queen’s neighborhood during the past decade, fueling the need for more high-quality office and retail spaces to support the new residents. Tishman Speyer is playing a major role in the continued development of the area, building three apartment towers in addition to the massive office and retail space in Long Island City. The 43,000-square-foot office and retail development consists of two 27-story office towers, a four-story retail building, numerous restaurants and a 1.5-acre park on the roof. Construction is set to begin in early 2017 and be completed in 2019. For more information on Long Island City’s continued development and transformation, read the Wall Street Journal’s story: In Queens, Residential Development Is Fueling Commercial Demand. 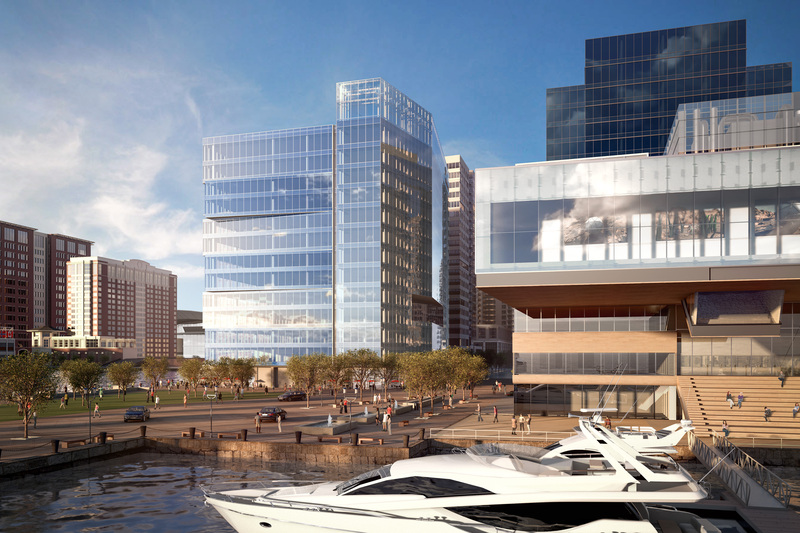 Tishman Speyer announced plans for a development project at Boston’s Pier 4 in August 2015. Located in the city’s Seaport District, Tishman Speyer will develop these lots, respectively, as a mixed-use, 13-story office building, and a nine-story, 100-unit luxury condominium. Each building will have ground floor retail space and restaurant space. The lots will include two-level, below-grade parking facilities, a one-acre public park, and a half-acre public plaza. Completion of this project is scheduled for early 2018. 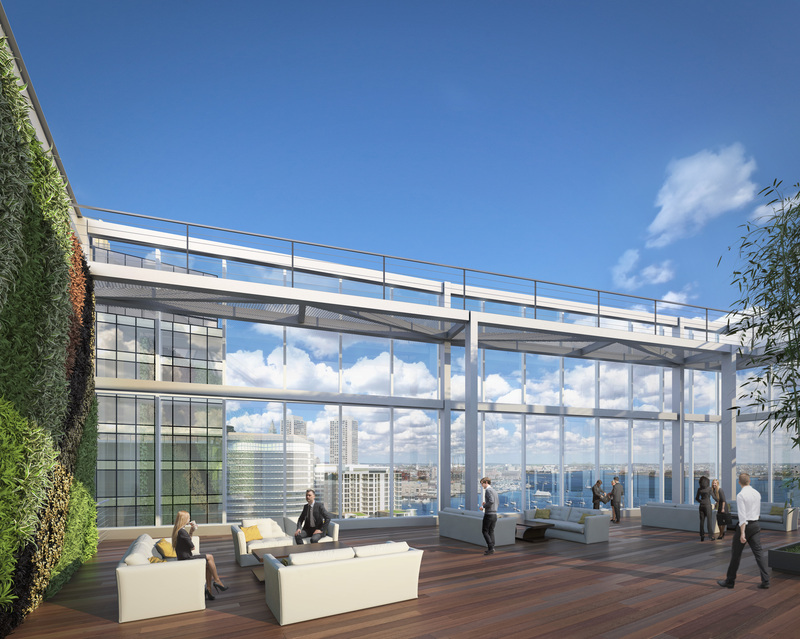 More information and new renderings of Pier 4’s design can be found at Tishman Speyer’s Pier 4 website. Tishman Speyer this week announced its purchase of a second development in Midtown Manhattan’s Hudson Yards Development. The existing development consists of 434-444 11th Avenue and 550 West 37th Street, with an option to purchase additional development rights. With these two adjacent properties, Tishman Speyer has the opportunity to develop a 1.3 million-square-foot building. The Hudson Yards district is bounded by West 42nd Street, 8th Avenue, West 30th Street, and Hudson River Park. The holiday season in New York City kicked off last night as the Rockefeller Center Christmas tree was lit during the 83rd annual Christmas in Rockefeller Center special. Illuminated with 45,000 LED lights, the 10-ton Norway Spruce from upstate New York was lit by Mayor Bill de Blasio, Jerry Speyer, Rob Speyer, and actress Jaimie Alexander, following performances by Andy Grammer, Sting, Michael Bublé and more. The tree will be lit daily from 5:30 a.m. to 11:30 p.m. until January 7, except for Christmas, when it will be lit for 24 hours, and New Year’s Eve, when it will be lit until 9 p.m. The tree will be milled for lumber to be used by Habitat for Humanity after the holiday season. Read more about the ceremony here. 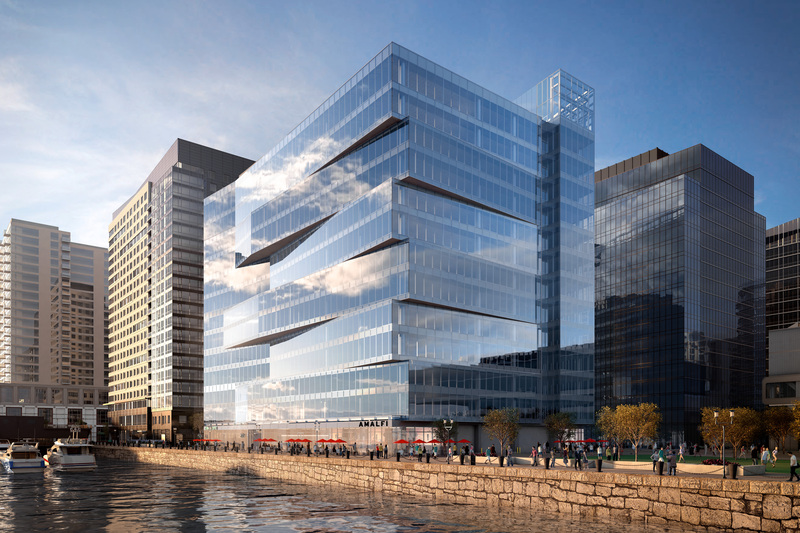 Tishman Speyer has recently unveiled plans for its upcoming Anthony’s Pier 4 project in Boston, Mass. Renderings can be seen below and on Rob Speyer’s Facebook page. Macy’s and Tishman Speyer announced today that the two companies will partner on an expansion of Macy’s Fulton Street store in Downtown Brooklyn, adding 10 floors of office space to enrich a key retail space in one of Brooklyn’s fastest-growing neighborhoods. Under the plan, the store’s interior will be completely revamped and supplemented office space featuring high 16-foot ceilings and a variety of outdoor spaces. In addition, Tishman Speyer will take over a Macy’s parking garage on Hoyt Street, with the potential for more development on the site. The remodeled store at 422 Fulton Street will be the flagship of a new fashion hub, serving shoppers from Dumbo all the way to Manhattan Beach. The newly remodeled store will have higher windows to let in more natural light and better match the industrial spaces in the area’s immediate surroundings. Each floor, in turn, will be expanded to allow for new brands, enhancing the overall customer experience. Construction will begin in 2016 and is expected to be complete by the fall of 2018.